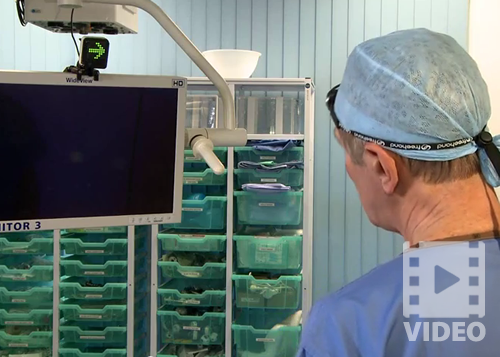 The FreeHand System allows for greater operating room efficiencies and patient throughput. It is your dependable assistant that can help you eliminate theatre stress. 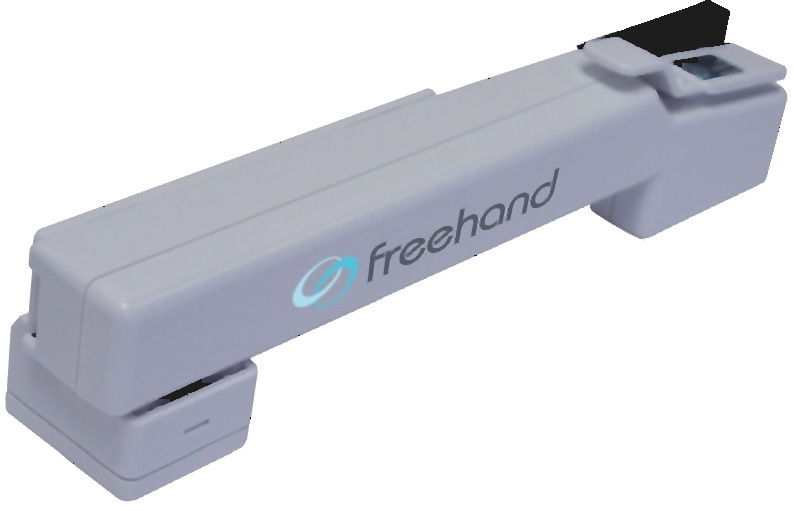 The FreeHand System puts you in direct control of the scope position. 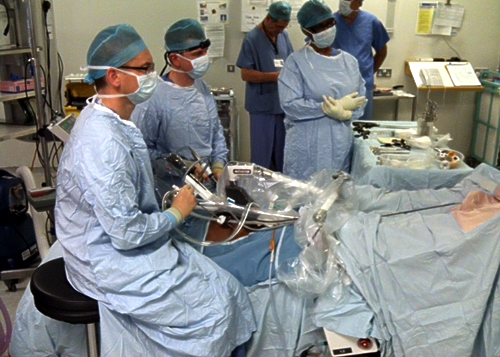 The scope is moved by the hands-free controller, worn on a head band or attached to a surgical cap, and an activation pedal. Mounted on the stack next to the monitor, an indicator unit shows the direction selected for the scope movement. Select the direction of tilt and pan using head movements, initiate using the activation pedal, and remove your foot to stop. 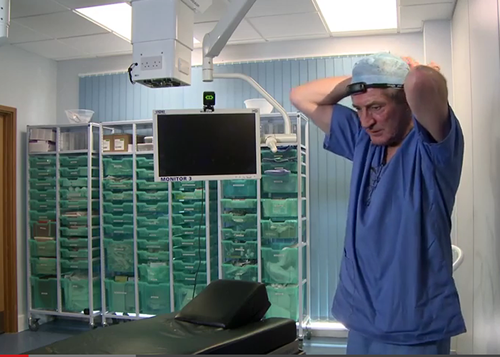 The scope is now held stationary until the pedal is pressed again. 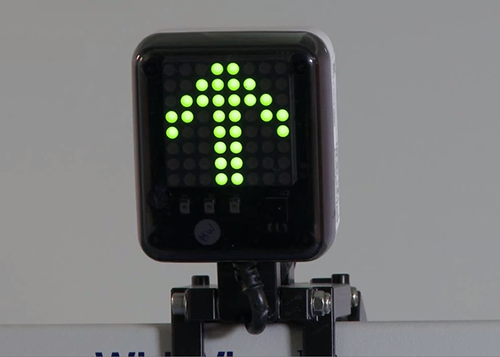 A swift tap on the activation pedal changes FreeHand to 'zoom mode', illuminating the zoom mode status. 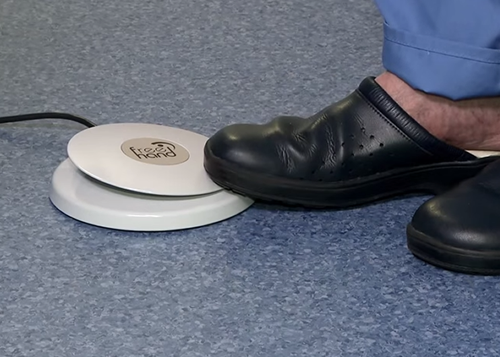 Once again movement is initiated when the foot pedal is pressed and ceases when it is released. The speed of scope movement can be adjusted via the speed selector panel. There are three speeds available. 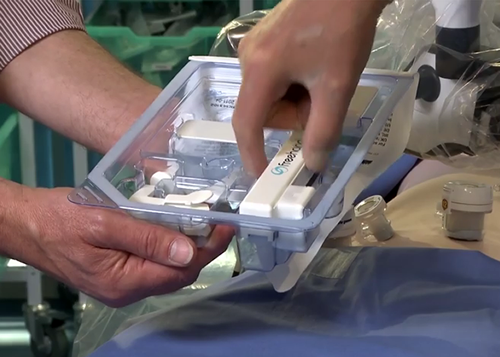 The FreeHand system uses single use sterile disposables that are easy to fit. 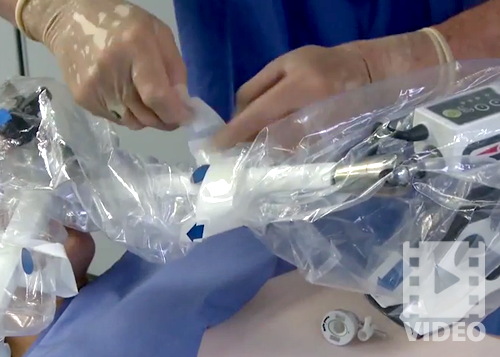 This allows the system to be used in back to back procedures without the need for separate sterilization procedures to take place. Rock steady image provides you with excellent visualization. 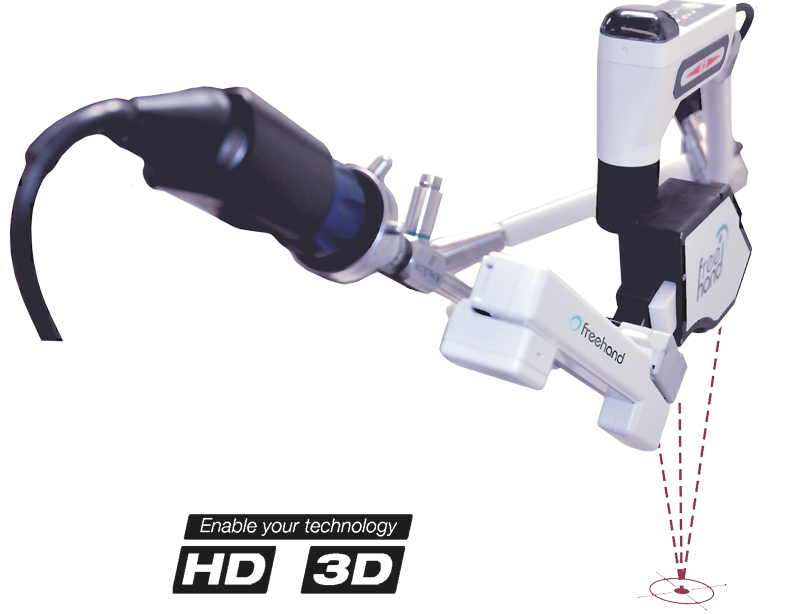 Get the most from HD and 3D technology for a tremor free image and a comfortable surgeon. 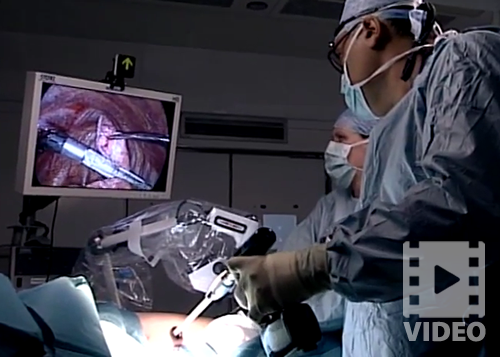 Direct surgeon control frees up a camera assistant and even allows for solo-surgery if needed. 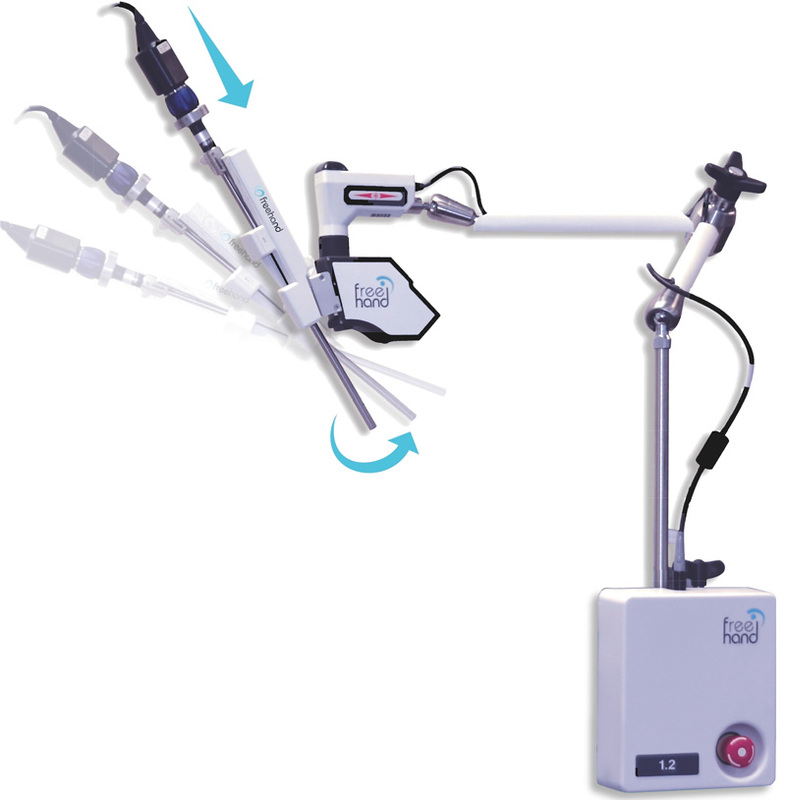 Single use module provides fixed procedure cost. 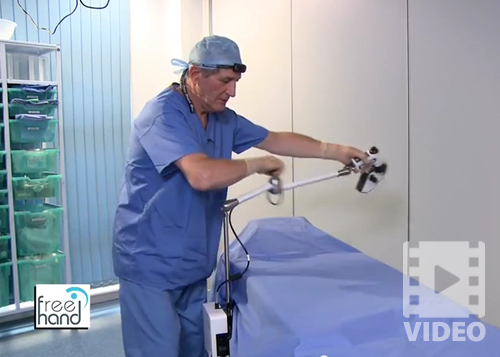 Reduced need to clean the scope resulting in a big time savings. 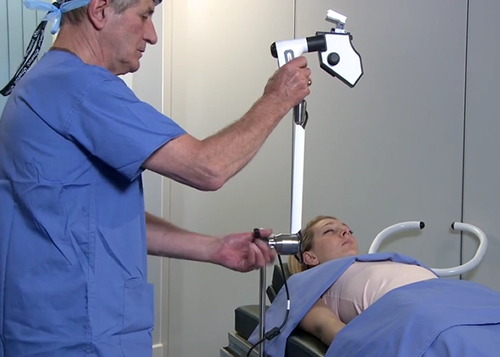 Easy set-up and change over process for back-to-back procedures. See the FreeHand System in action below. Like to know more? Submit the form below and one of our knowledgeable sales staff will contact you shortly. Your message was sent successfully! Someone will contact you shortly. Division of Flexbar®, Islandia, New York. 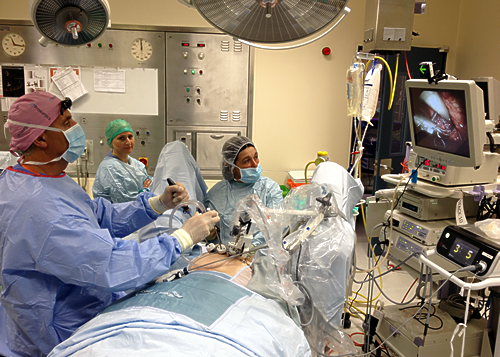 © Mediflex Surgical Products. Long Island, NY. All Rights Reserved.